Last July, Mark Clare retired as CEO of Barratt Developments after a nine-year stint in charge. Within a year of David Thomas taking over the helm, Barratt’s unique five-year new home warranty is no more, withdrawn in November 2015 – six years after being first being introduced. 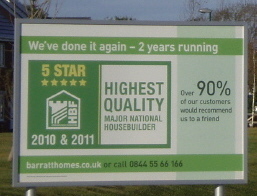 In their press release on 17 November 2009 Barratt, Britain’s biggest house builder by volume, proudly proclaimed that their new homes will be covered by a five-year guarantee of fixtures and fittings: “Items covered at no extra cost to the buyer will include appliances such as washing machines and refrigerators, kitchen units, wardrobes, the central heating system, fires, doors, windows, the hot and cold plumbing system, shower doors, sanitary ware and taps, ironmongery, electrical system, internal/external drainage, renewable energy installation (if fitted), and even the boundary brick walls and the driveway” said Barratt. A construction director from the company is alleged to have told a customer that it changed because Barratt found that they had very few claims in year’s three to five. Most of the problems being reported were within the first two years therefore Barratt decided it was of no benefit to any parties involved. 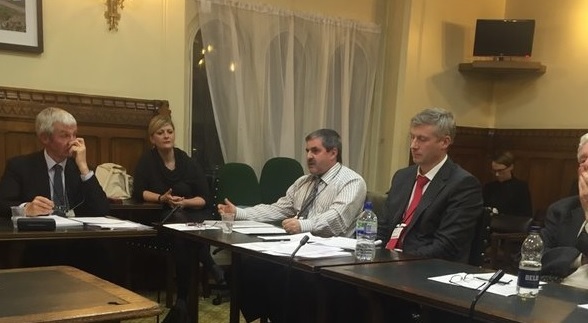 Following my presentation at the APPG Inquiry on the 23 November 2015, Barratt were soon added to the list of those making a submission at the last Inquiry session on 14 December 2015 although they did not do so. With pressure on all house builders to offer a five-year warranty, it seems strange that the one house builder that did, recently decided to withdraw it. A cynic might suggest that the house building industry asked Barratt to drop it; for fear that a mandatory five-year warranty would be imposed on every house builder. The HBF continue to claim: “Homeowner satisfaction with new homes remains high, 86% being satisfied with the quality of their new homes.” and Barratt said it had “every confidence in the outstanding quality of our build, we are confident that we can offer this additional reassurance to our customers at relatively little cost to our business” – so presumably every other house builder also can if the industry’s quality claims are to be believed. So what have the house builders got to fear from the introduction of a mandatory five-year warranty? Surely it would reassure their own customers that they won’t have to face any unexpected bills! This entry was posted in Barratt/David Wilson Homes, New Homes and tagged barratt, customer care, new home warranty, quality. Bookmark the permalink.